SHOP FOR A GOOD CAUSE! MONEY RAISED FROM THE SALE OF EVERY BOOK GOES TOWARDS FRIENDs AND ITS MISSION TO SUPPORT THE LIBRARY. Hours: Monday: 10 a.m. - 5:30 p.m. Ongoing $1 Sale at the Donation Center! Steps Sales everything $1 ! Check the schedule on the home page! Check back for upcoming sales. ​Have items you'd like to donate towards a good cause? Check out our Book Donation Center. 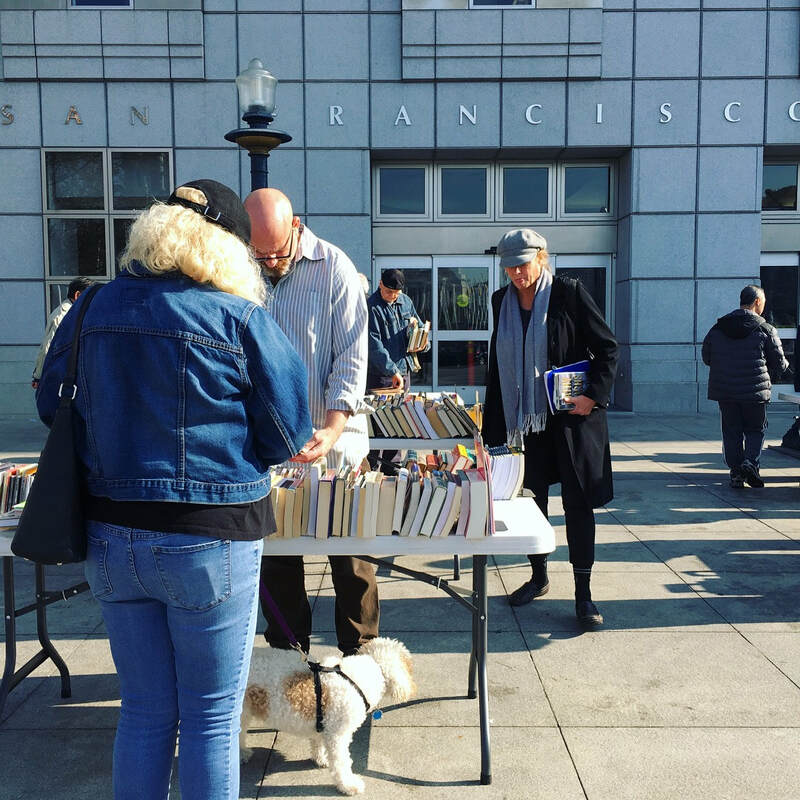 Visit our Friends Bookstores in Fort Mason Center and the Main Library. Check out our weekly Steps Sales at the Main. Become a member to take advantage of our frequent Member Sales. Save the date for the next Big Book Sale! Give your items a 2nd home and support a great cause. 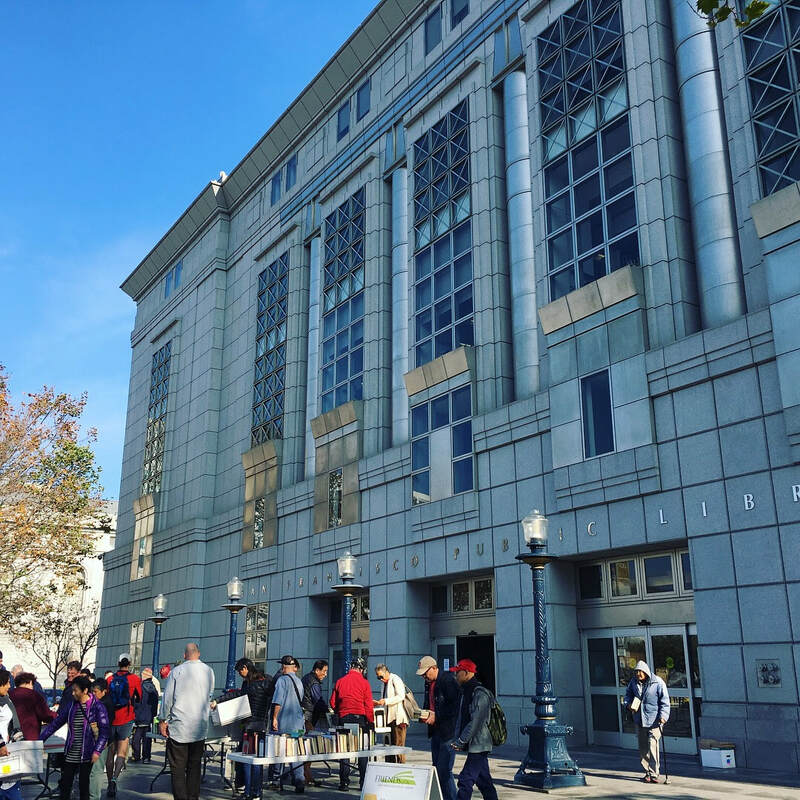 Proceeds from our Readers Bookstores and our book sales support the San Francisco Public Library. Our Book Donation Center is located at 1630 17th Street and is open Monday - Friday from 10:00 a.m. - 4:00 p.m. and on Saturdays from 10:00 a.m. - 2:00 p.m. Please vist our Book Donation Center page for more information. We need volunteers in our Readers Bookstores, our Book Donation Center and for our book sales. Groups are welcomed! We also have event & administrative volunteer opportunities. Please visit our Volunteer Opportunities page for more information.